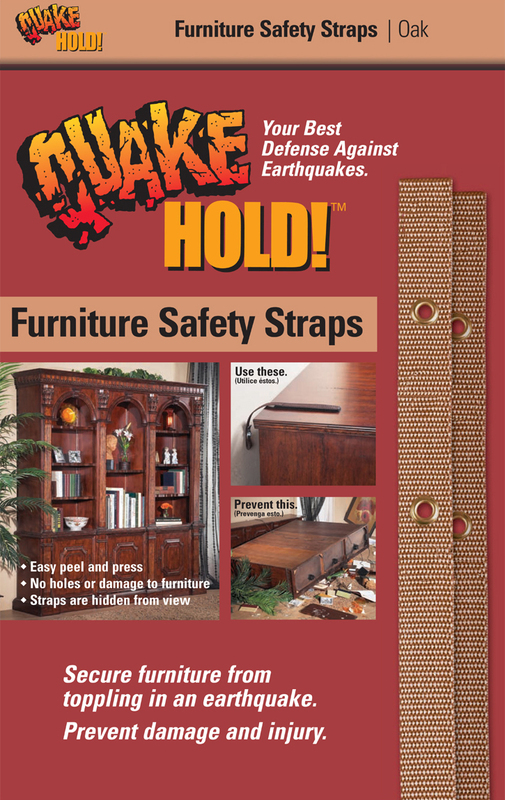 This is the strongest, most versatile strap available and is easy to install. Peel and press one end to the furniture, screw the other end into the wall stud through grommet hole. 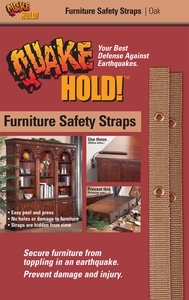 Each kit contains two 15” nylon straps, enough for one large item of furniture. Straps won’t damage wood and hide from view. Available in various colors.